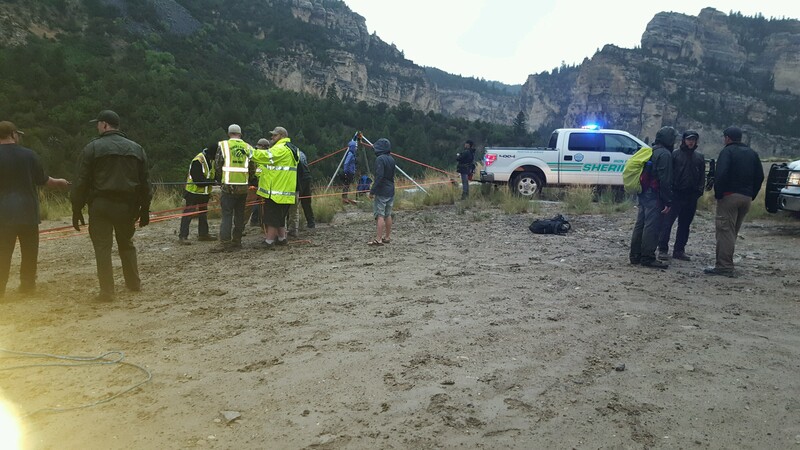 CEDAR CITY – Emergency crews used about 330 feet of rope Wednesday night to raise a 20-year-old man from a canyon after he injured his leg while hiking the riverbed. 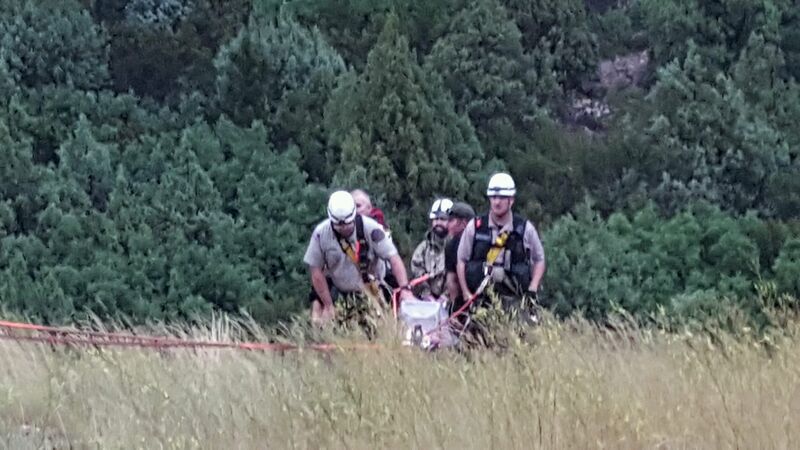 Iron County Sheriff’s Ropes Teams and Search and Rescue crews were dispatched around 4:30 p.m. to milepost 9 on state Route 14 to reports of a male hiker who had possibly broken his leg. The hiker, from Riverton, is a Southern Utah University student who was working on a summer project for the U.S. Forest Service with about six to eight other students, authorities said. The group had hiked from Brian Head to Ashdown Gorge and was walking Rattlesnake Creek when the accident occurred. The extent of the man’s injuries was unknown. “I’m not sure whether he broke it or if it was just a fracture,” Hoyt said. The group was located about 2 miles into the canyon near Flanagan Arch at the time of the accident. Some of the members hiked out to get help while others remained behind using their emergency medical training to put the hiker’s leg in a splint and start carrying him out. Hoyt, who was first on scene, hiked into the canyon about a mile and a half and met up with the group. He piggybacked the hiker the rest of the way. On his way out of the slot canyon with the hiker, Hoyt said the forecast rainstorm started moving in. At that point, with flash flood warnings in effect, authorities were concerned. Once out of the canyon, the ropes team raised the hiker up about 300 feet from the canyon floor using a basket they had dropped down to him. He was transported to Cedar City Hospital via ambulance. Emergency crews were on scene for four hours until around 8:30 p.m.
to bail him out of a wholly Avoidable predicament . very hazardous situations when it is raining in canyon country ! He’s hurt but he’s alive ! once again our hero’s of SAR respond. Job Well Done. ! He’s hurt but he’s alive and I’m glad he was able to get professional assistance. ……have a nice day ! “I’m not sure whether he broke it or if it was just a fracture,” Uuummm I’m pretty sure those are the same thing. sigh.